We've decided to build a house. After years of searching for the right place on acreage, we finally bit the bullet and bought some land. 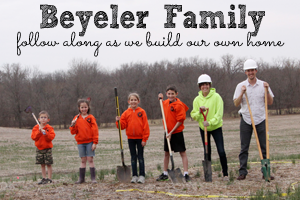 Sunday, April 6, 2014: The day before the excavation started we had a little groundbreaking of our own. We had hoped for a nice photo op involving a sharply dressed family turning a spadeful of black soil with golden shovels. Instead we ended up with some neon hoodies, a hoe, a post-hole digger, and a few random shovels. That's a pretty good omen, right. Safety first. Good thing we had hard hats on, what with all the overhead hazards and such. If you're still reading, I'll share a few more details. The site sits on a 20-acre plot in rural Missouri, north of Kearney, birthplace of Jesse James, the outlaw. The site has about six acres of woods, two creeks, and ravine that's probably 40 feet deep. We're the bottom rectangle lot below. The other lots are owned by family members. The house will sit in the north-east corner of our lot. 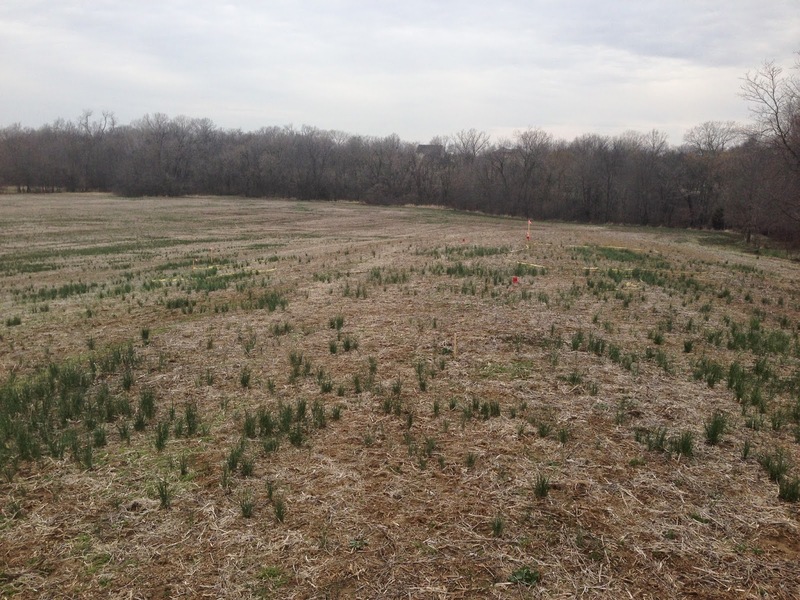 Here's a shot of the house site before any work has been done.